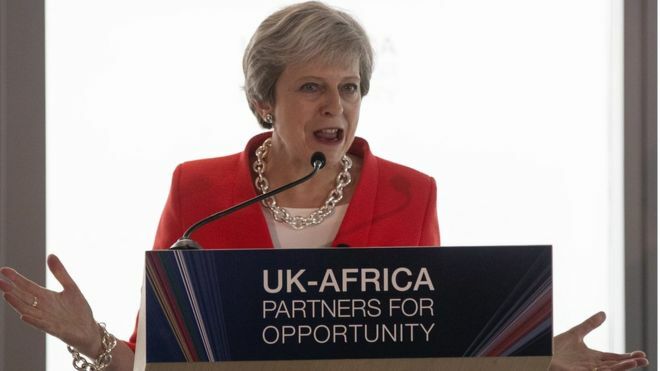 In the wake of Mrs May's trade mission to Africa we see all the predictably tedious debates unfolding about EU protectionism whereupon the Brexiters will claim EU tariffs freeze out African producers, to which the remainers reply with references to the Everything But Arms agreement. The Brexiters then point to some obscure example of milled rice or processed coffee subject to EU rules of origin and then the trade nerds pile and bore us all to death. Both sides are missing the point on this. Tariffs are not the barrier. Take, for instance, EU inspections for Citrus Black Spot - a fungal disease in fruit. Typically reports cite "EU regulations" as the reason for import restrictions. It isn't that. It's an EFSA risk assessment leading to a higher rate of inspection creating delays that cause South African growers to voluntarily terminate trade even though it meets the standards and qualifies for trade preferences. The South African view is that the risk assessment criteria is the product of internal lobbying and is scientifically questionable. The Spanish government's position will undoubtedly be the product of lobbying by the Valencian Growers Association AVA-ASAJA. They have identified the weak spot in the system that allows them to push for EU level protectionist measures. What we find is that, notwithstanding cooperation agreements on standards convergence, the risk assessment criteria is still more a political than scientific issue, it rests largely with the Commission, and though the IPPC can investigate, it can only challenge the validity of the risk assessment process rather than the actual verdict. If the process is found to be transparent and the specialists are sufficiently qualified then there is little anyone can do. This is where it's possible to overstate importance and usefulness of certain institutions and instruments within the trade ecosystem. Though WTO members can normally raise issues for consideration, panels must be formed, investigations undertaken and hearings scheduled. The process is time consuming and expensive thus, in most cases, an EU decision to exclude produce is usually final. The EU, therefore, does not need to tinker with tariffs. If it wants to exclude produce on protectionist grounds there is little to stop it from doing so and plenty of means to do it. Out side the EU, the UK could very well operate an independent risk assessment system and one less vulnerable to industrial lobbying. The issue, therefore, becomes one of whether the EU assessment of our own risk assessment system has ramifications for our exports to the EU. Consequently every decision made in respect of third countries has to be stress tested against its potential impact on UK-EU trade. The EU can subsequently make demands for standards improvement but then when it comes to standards improvement under the aegis of an EU cooperation agreement, we often find the goalpost shift time and again on the whim of EU producers - which is why we still manage to exclude Argentinian beef exports some twenty years after the BSE scare. That issue will run and run and will remain a talking point of trade debate for a decade or more. What we have here is an attempt by both sides to extract simplistic narratives from what is inherently complex and far more complex than even I imagined. The remainers are making hay of it in pointing out that the "deal" struck by May is nothing we didn't have via the EU. This completely misses the point. For now the main mission is to ensure trade continuity and if Mrs May has succeeded in rolling over agreements then that is certainly not a bad thing. Obviously these agreements will need revisiting and there is scope for future refinement and that will happen in due course. What it means is that the UK will have its own offices dedicated to managing trade relations with third countries. The UK already has a dedicated unit for trade with China. We will see more of these established over time. This is the process of repatriating trade policy thus reclaiming an essential instrument of foreign policy. And that matters. Theresa May is reported to support South African land reform but it's worth examining what she actually said. "The UK has, for some time now, supported land reform that is legal, transparent and follows a democratic process," May said. "I welcome the comments he has already made about approaching land reform, bearing in mind the economic and social consequences - and that land reform will be no smash and grab". Having direct control over our bilateral trade relationships means that we can take our own decisions in respect of any potential illegal land expropriation. One of the great evils of the EU is that it has turned trade into a technocratic discipline entirely divorced from politics. Member states, therefore, are reduced to making impotent statements in the face of human rights abuses and any action we would ordinarily take unilaterally has to be cleared with Brussels. It then depends on other member states and their overseas interests. Here we find that "European solidarity" is only skin deep - especially if it trespasses on France's colonial interests. Having repatriated trade, public campaigns can compel our own politicians to take political measures. We are are a market of 65m wealthy consumers. Of itself that is influential when dealing with developing countries. Not so though if domestic political pressure is inert. I am just old enough to remember when grassroots politics did speak of imposing trade sanctions and lobbying for them. Brexit once again puts trade back into the political realm and once again becomes a policy tool of substance. The amalgamation of trade policy in the EU means trade is a foreign policy weapon of the EU elites, but not the people. We cannot instruct or demand that the EU acts. Brexit does not necessarily mean better trade deals. It is possible that they can be bettered configured for the UK economy. Some will be better, some will be worse, but the point is that we will have greater control over our external relations and be able to take measures against predatory practices without first grovelling to Brussels. There is nothing to stop us coordinating our actions with the EU, but nowhere does it say we have to be subservient. Though I am an advocate of multlateralism and and the global rules based system, the left wing critique of it is essentially correct in that it seeks to strangle national sovereignty in trade affairs, essentially making it a corporate playground immune to any kind of democratic impetus. Trade is ringfenced from politics. While that essentially provides stability in global trade, and consequently is a pillar of the peace architecture, it once again raises the question as to whether globalisation is compatible with democracy. Being that the EU is a middleman, muting the voice of member states, our foreign policy will more likely reflect that of the technocrats over the peoples of Europe. We are often told that sovereignty is an archaic concept and increasingly meaningless in the modern world. This blog has also made that argument. That is not to say, though, that it is useless, or that we should tolerate any further erosion of it. 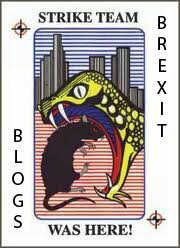 The EU has sanitised trade and removed politics from it. The political engagement we see is anaemic campaigns from NGOs and lobby groups in respect of GMOs and "chlorinated chickens". This is a pastiche of politics. Trade and aid are fundamental tools of foreign policy and foreign policy must serve the people, not the the ambitions of a supranational proto-state. If we do not have control over these things then we are not a country in any meaningful sense and our elections aren't worth a damn.